Voila! 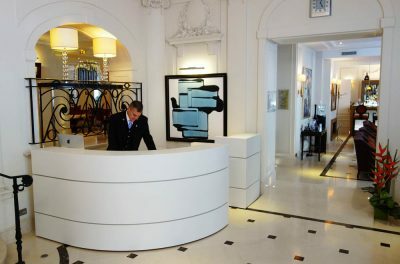 A new conciërge desk for Villa Hôtel Majestic, a cozy 5 star hotel right at the heart of Paris. 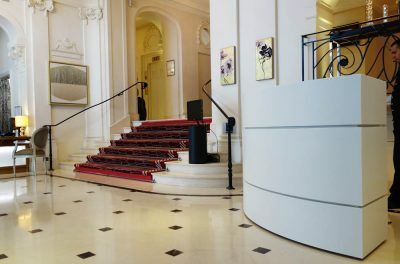 This hotel courageously combines a classic environment with modern elements like the brand new conciërge desk by RKNL. 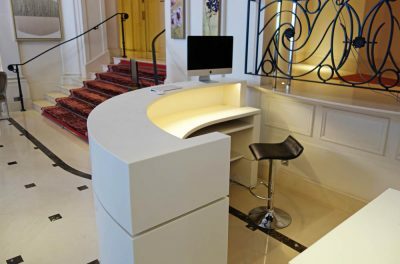 The conciërge desk was inspired by the RKNL20 Executive Desk.